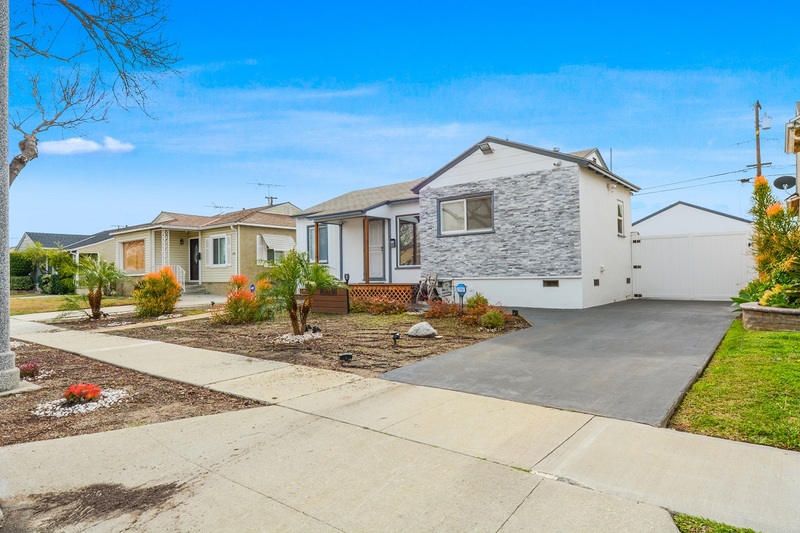 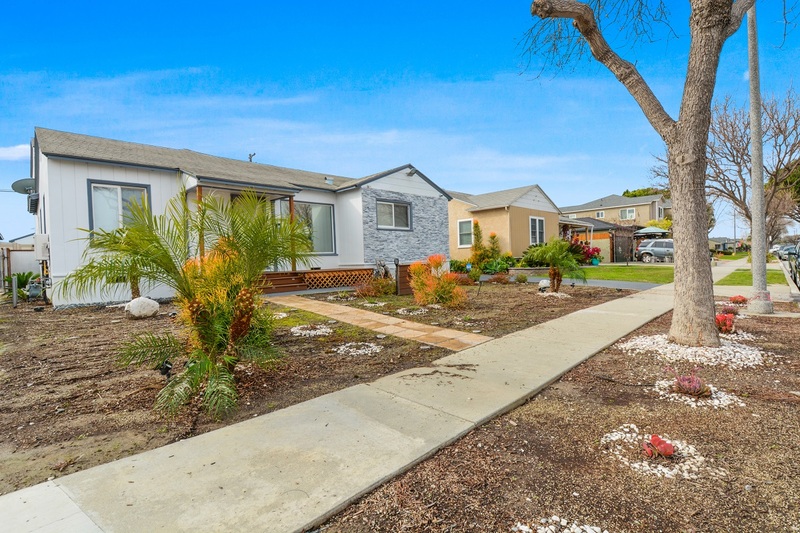 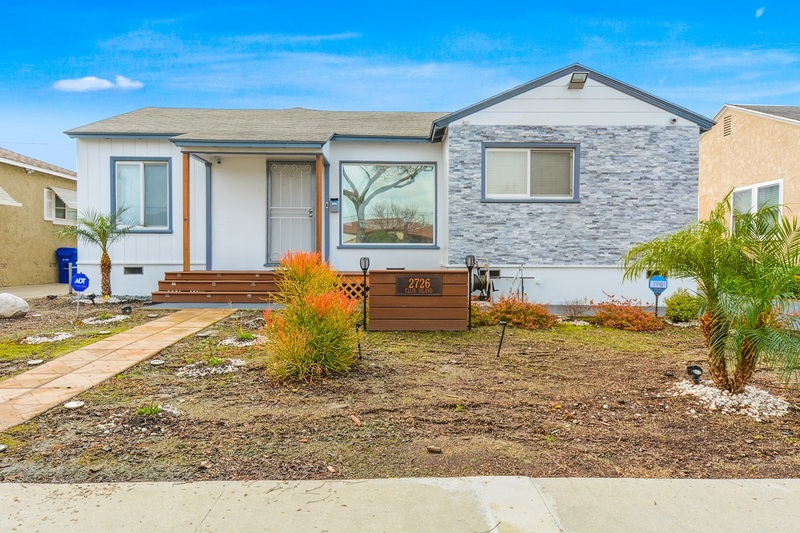 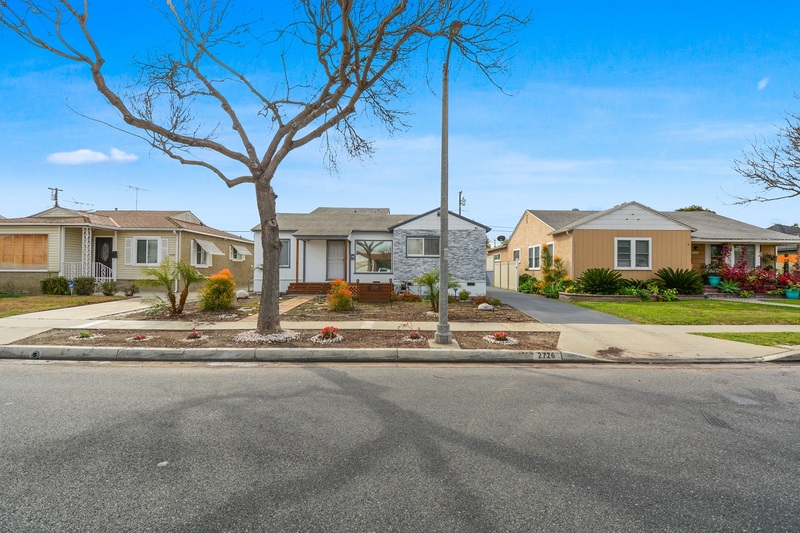 You’ll love this captivating Lakewood home with 4 bedrooms and 2 bathrooms in a great neighborhood offered at $649,000. 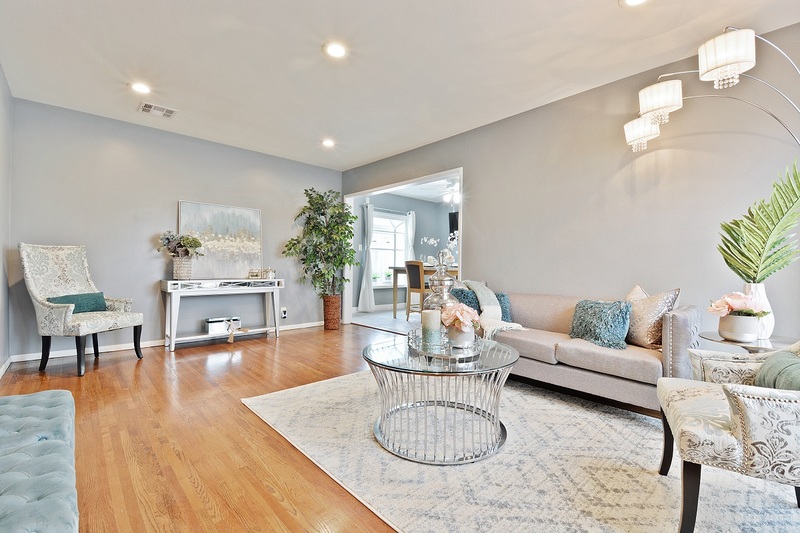 The low-maintenance, water-friendly yard welcomes you to this spacious, 1898 sq, ft. home and soothing neutral tones carry the welcoming atmosphere inside. 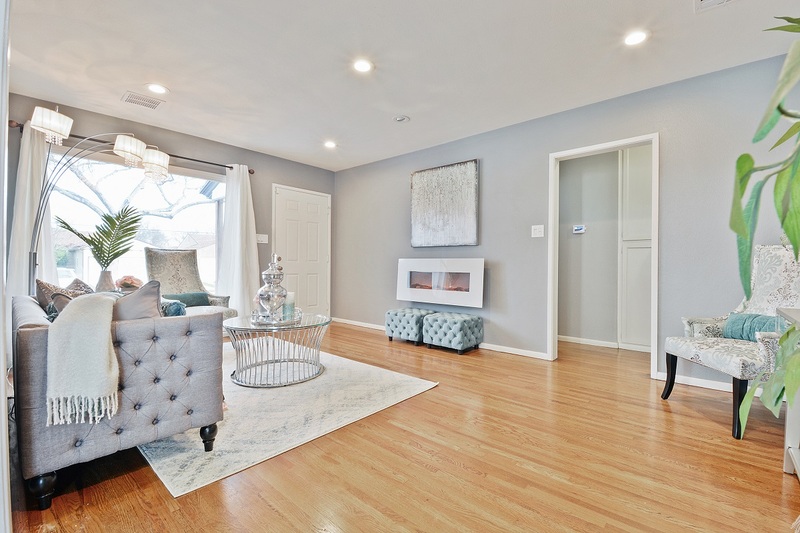 A faux fireplace and hardwood floors make the living room a great spot to relax. 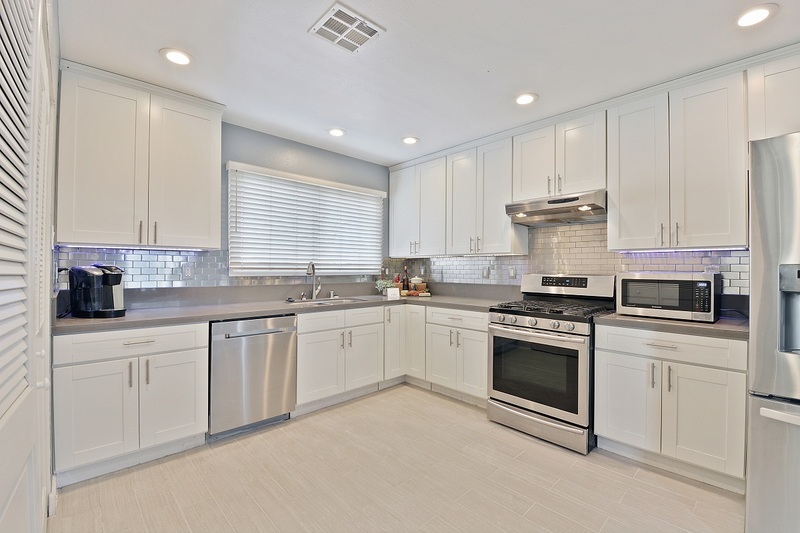 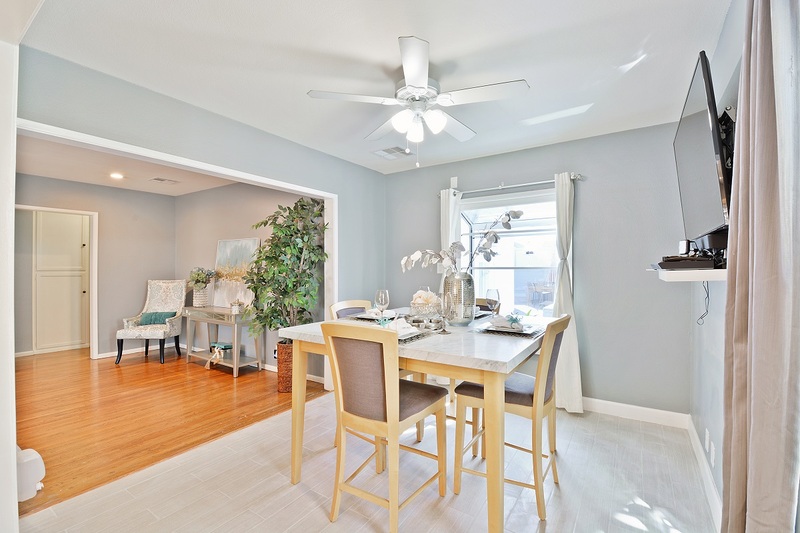 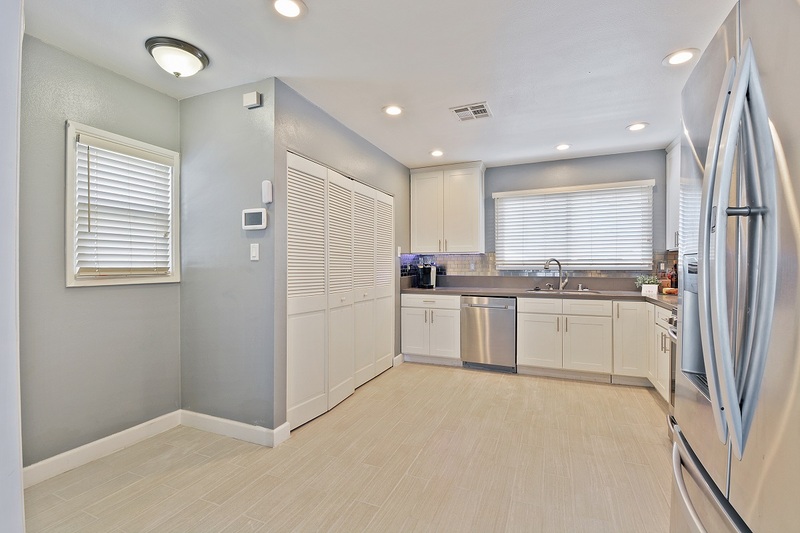 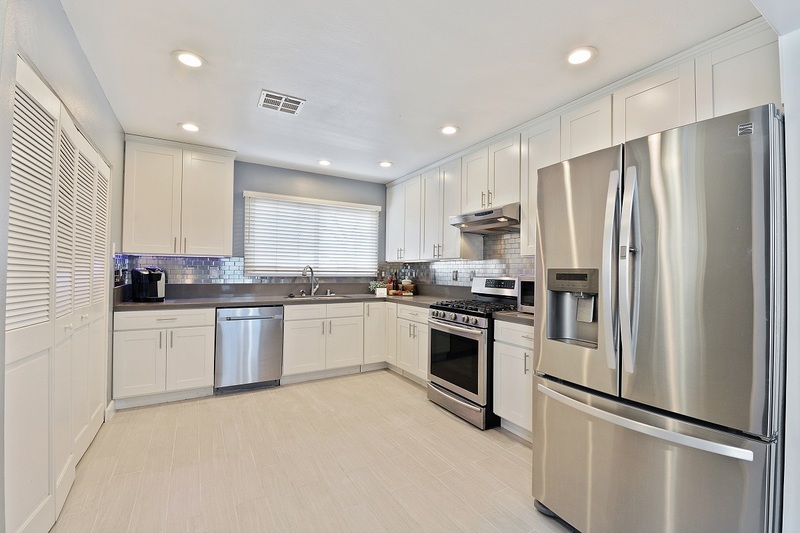 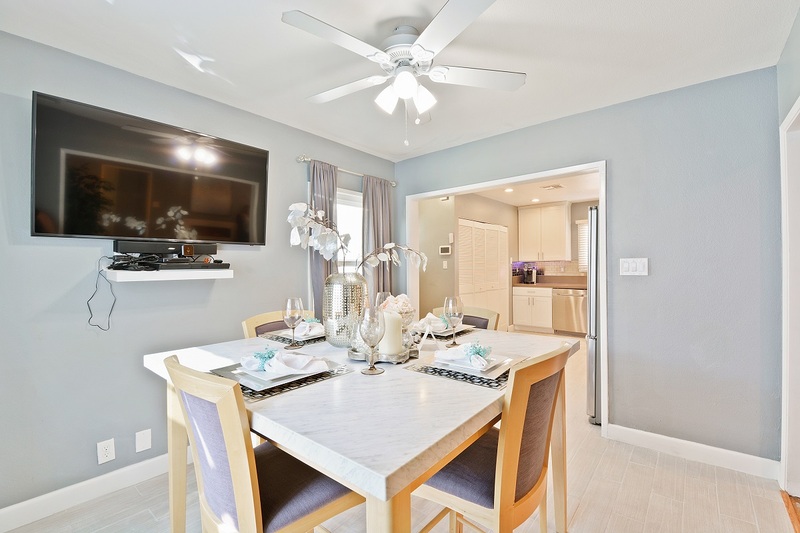 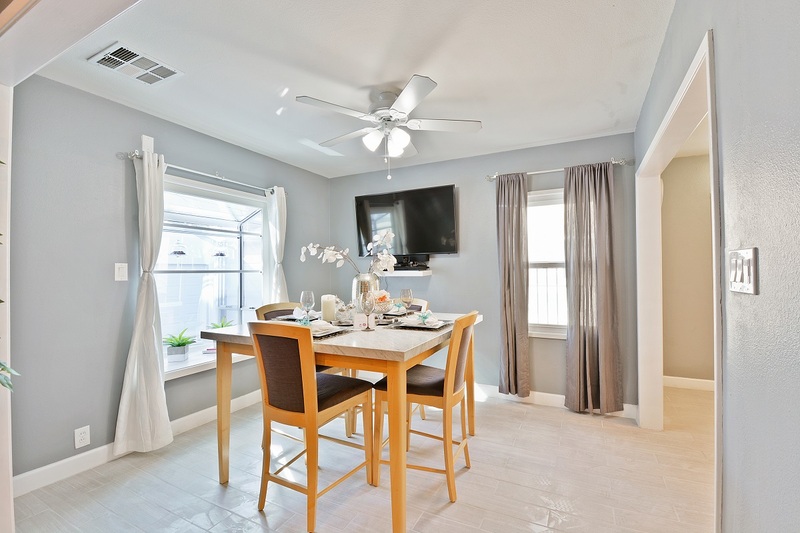 The spotless remodeled kitchen features bright white cabinets, stainless steel appliances and a modern tile floor that continues into the dining room. 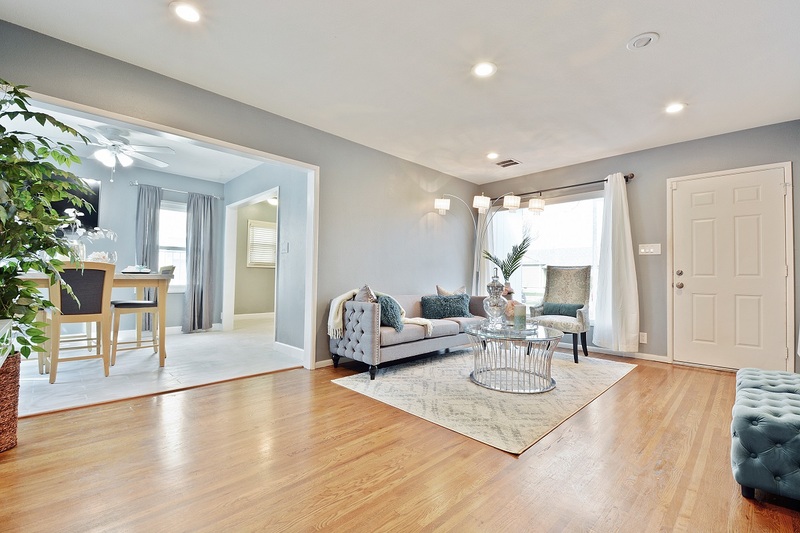 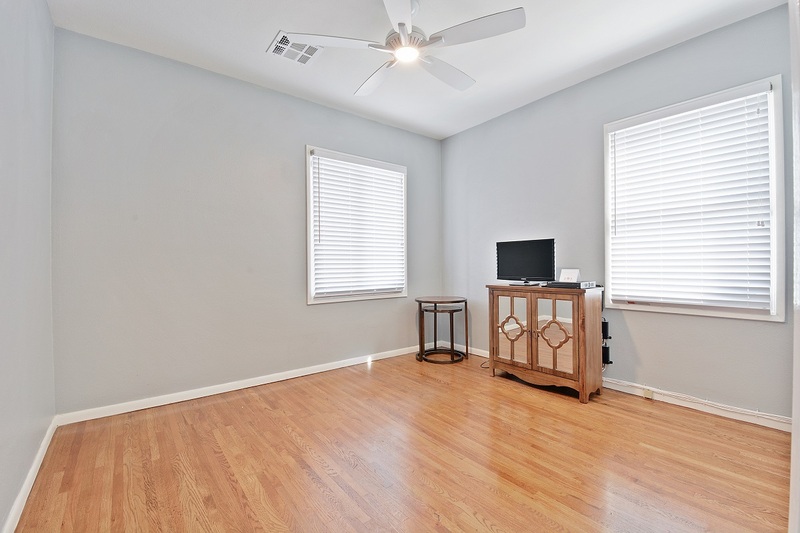 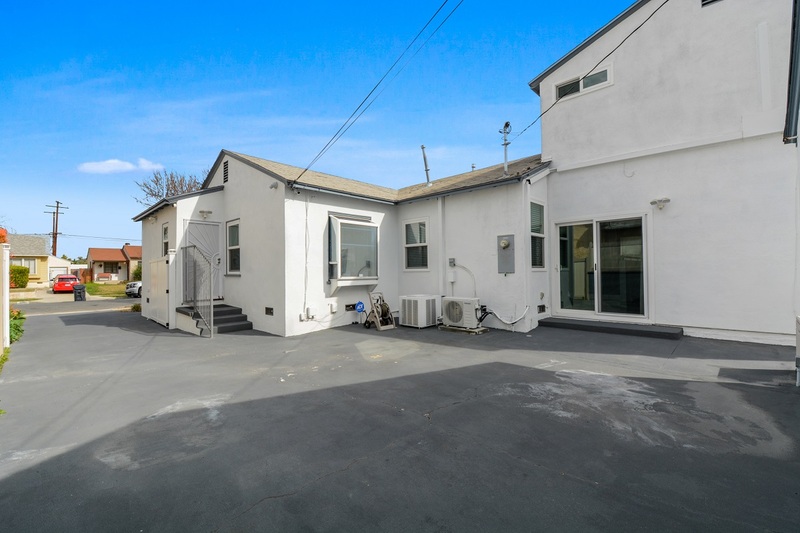 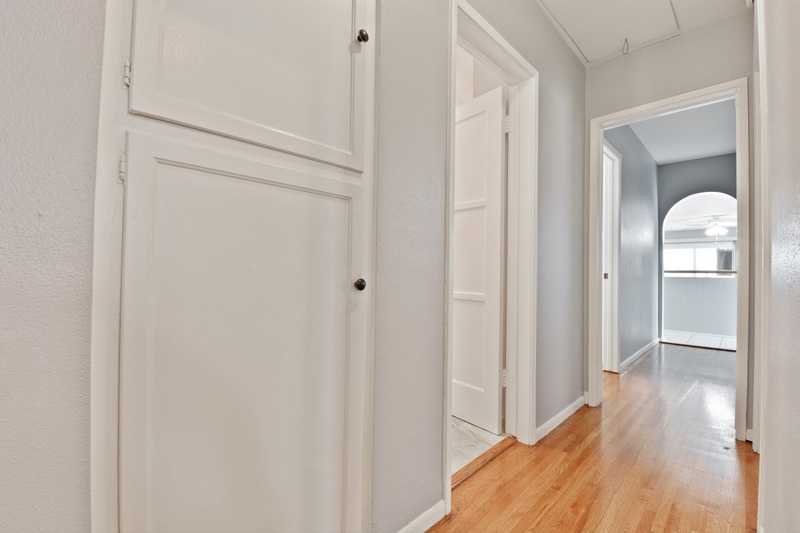 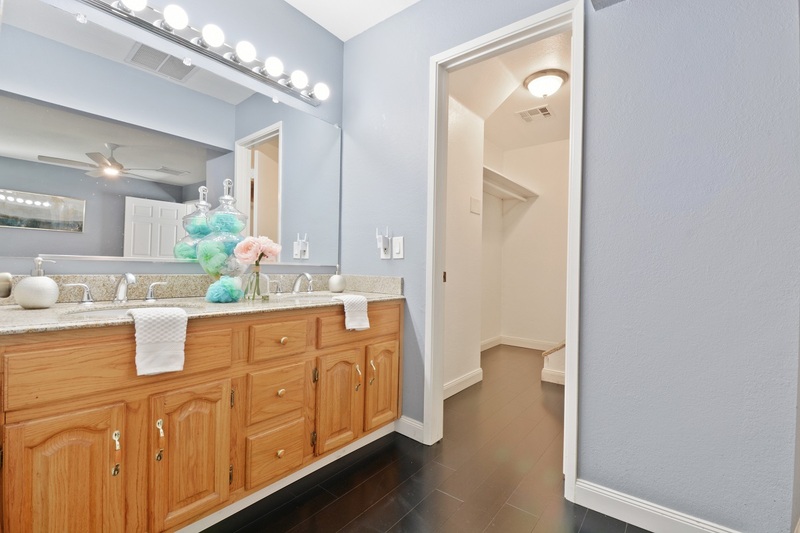 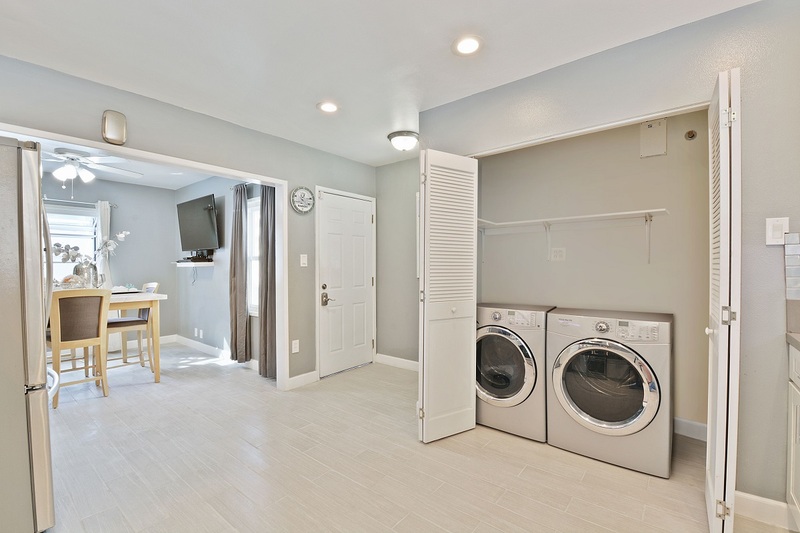 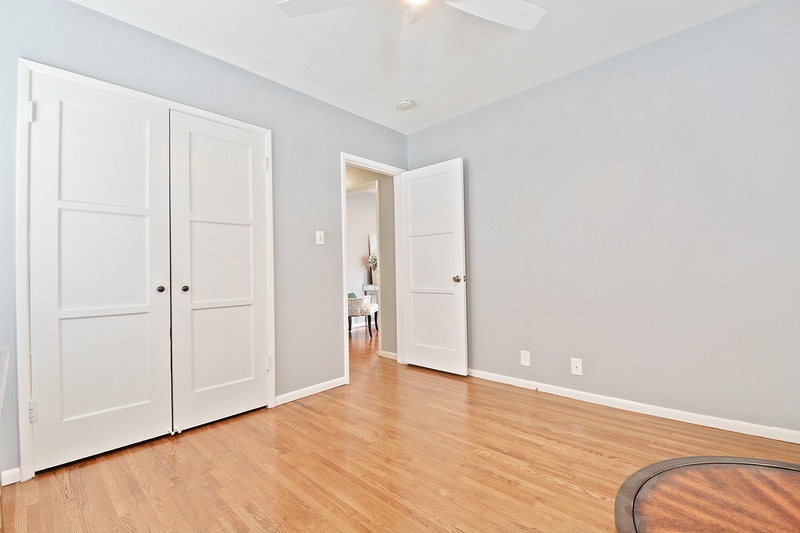 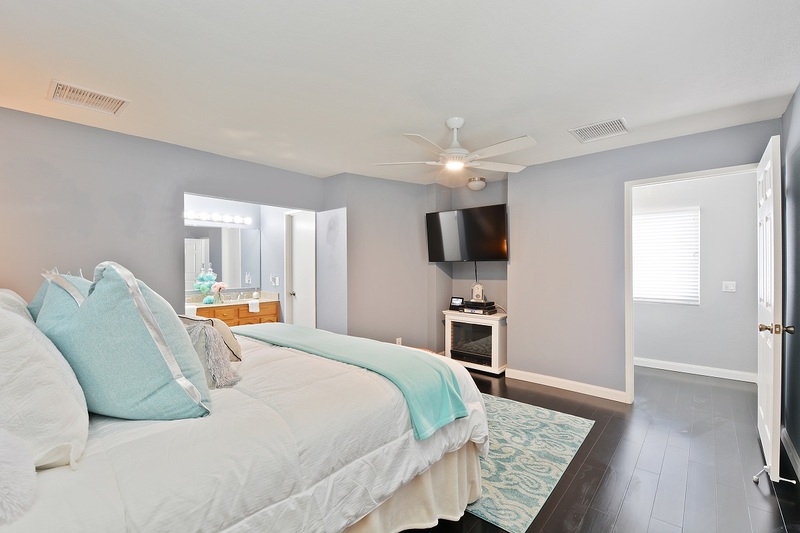 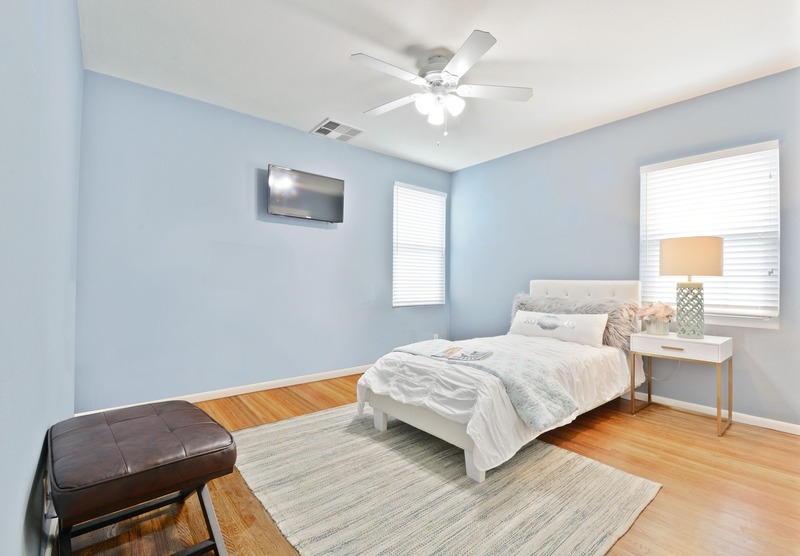 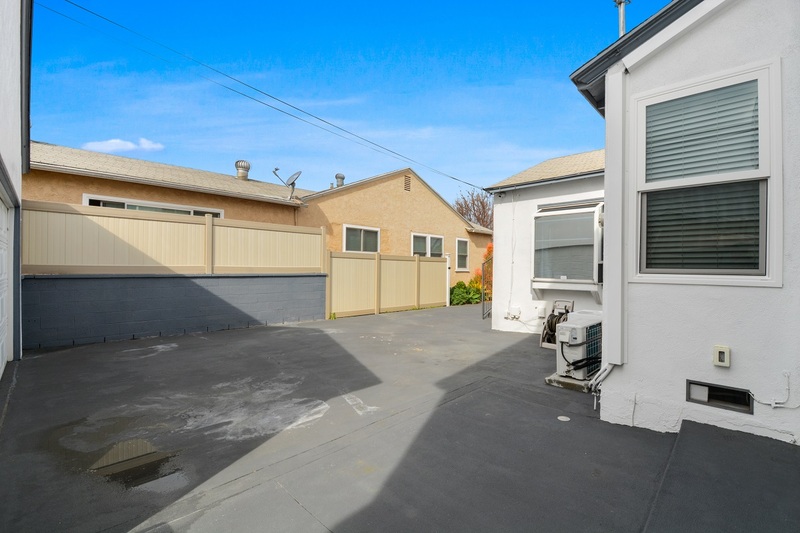 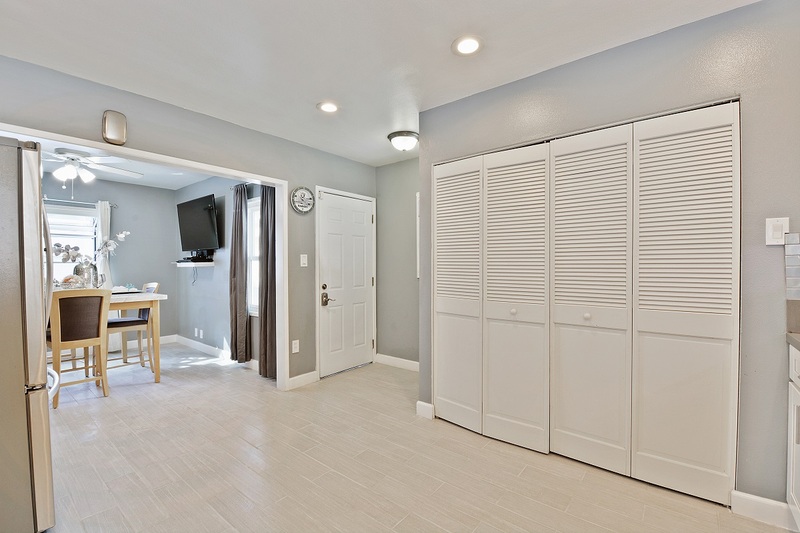 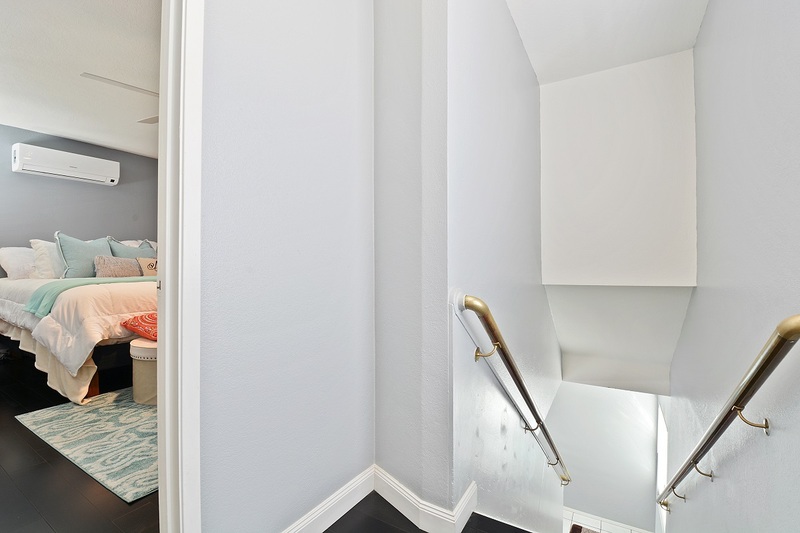 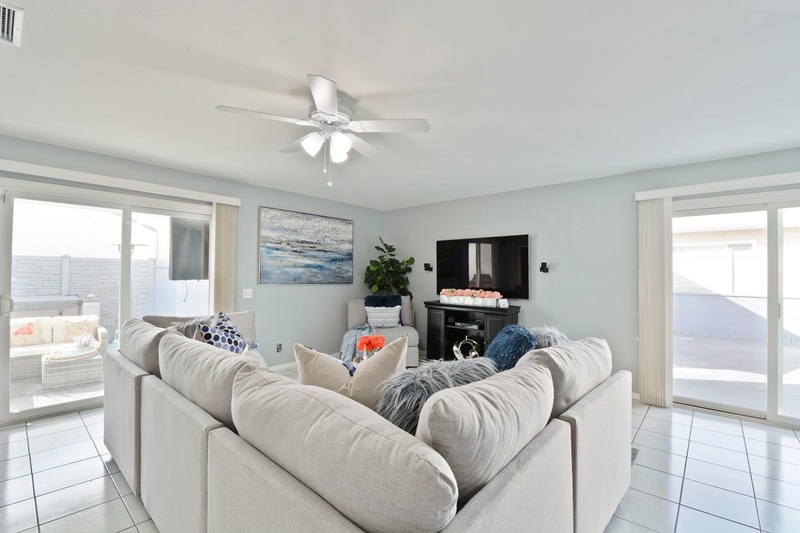 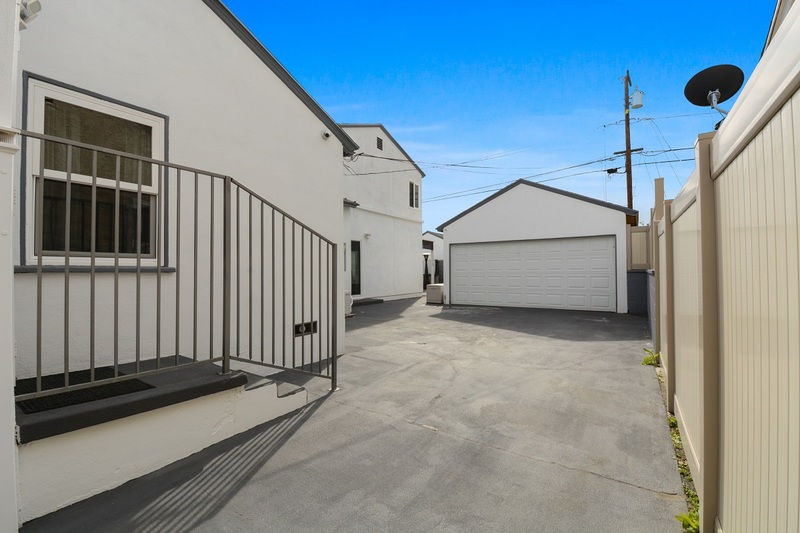 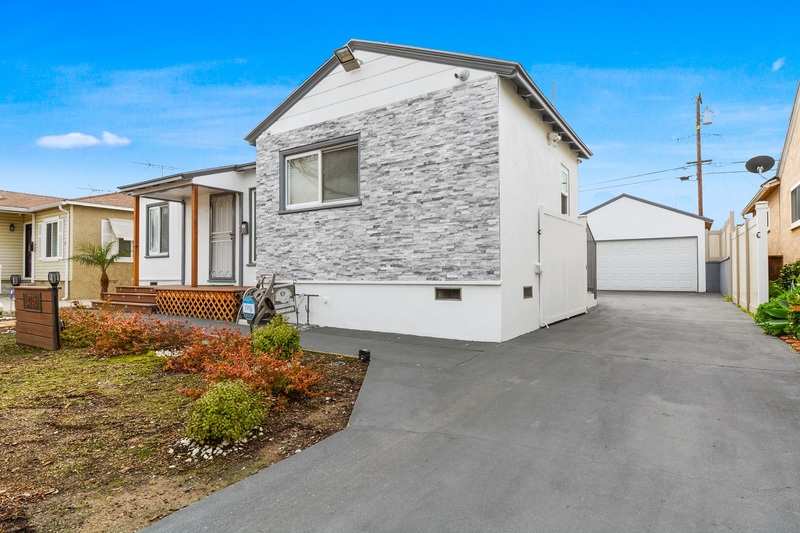 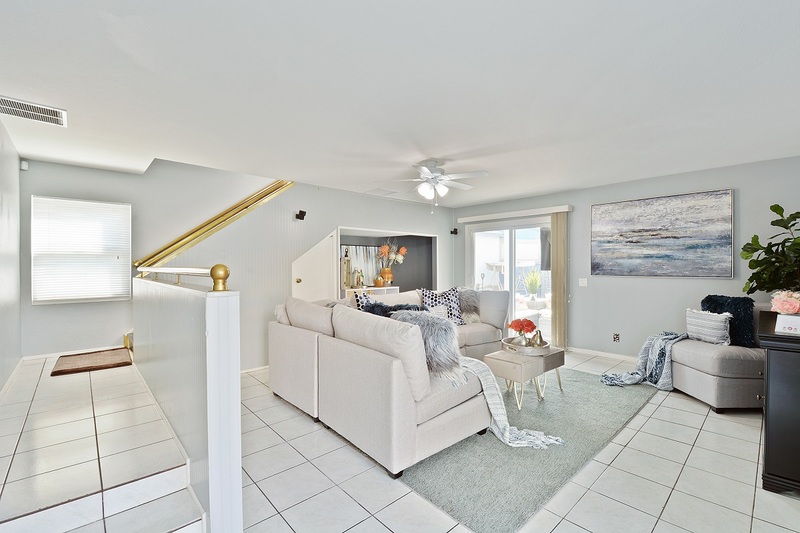 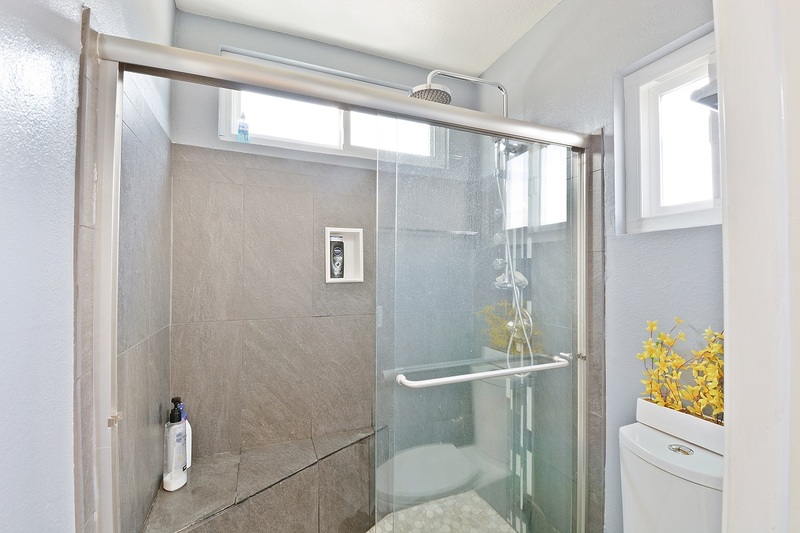 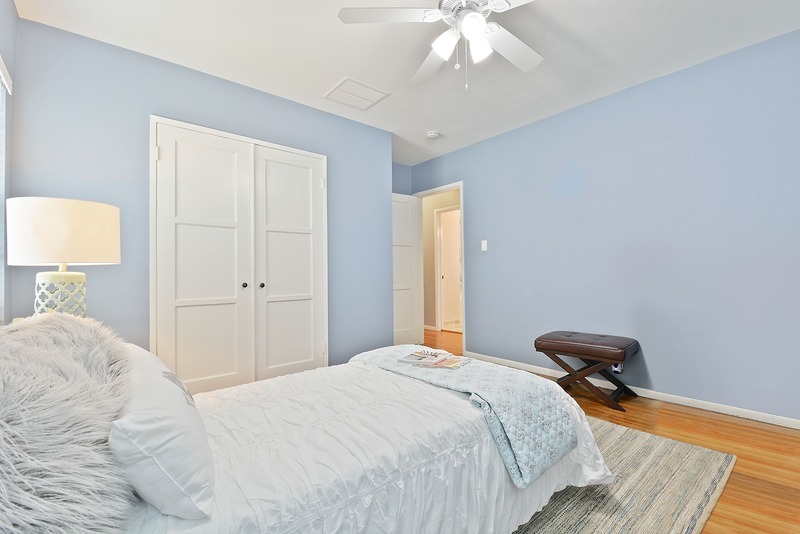 Three bedrooms and an updated bathroom are on the home’s main level, while upstairs you’ll find a private master bedroom with an en-suite bathroom and walk-in closet. 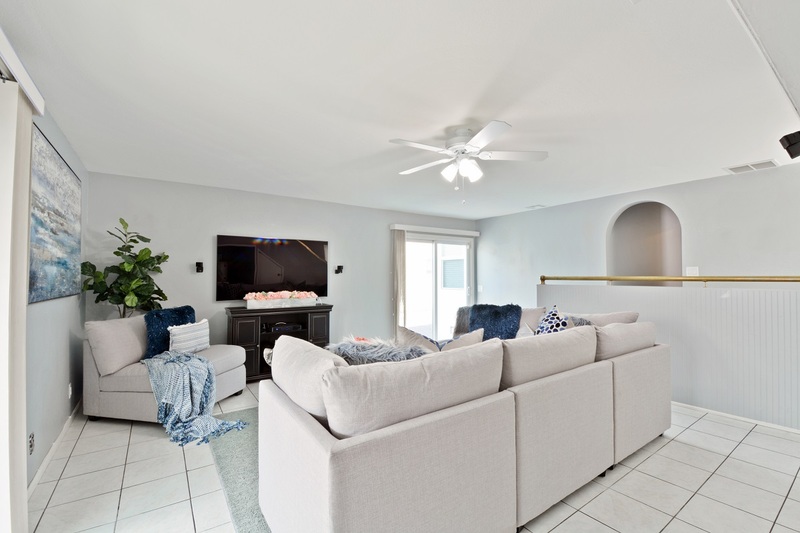 In addition to the front living areas, there is a step-down family room at the rear of the home. 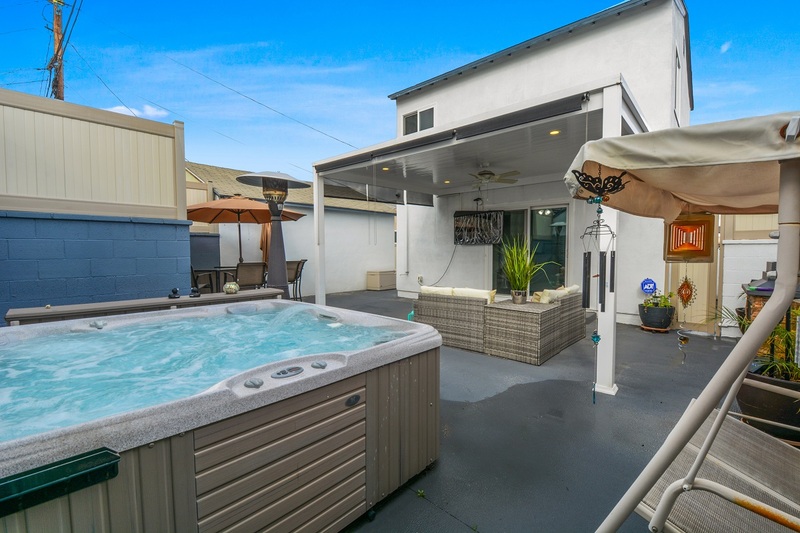 Hard-wired with Bose speakers and boasting sliding doors to the back yard, it’s perfect for entertaining. 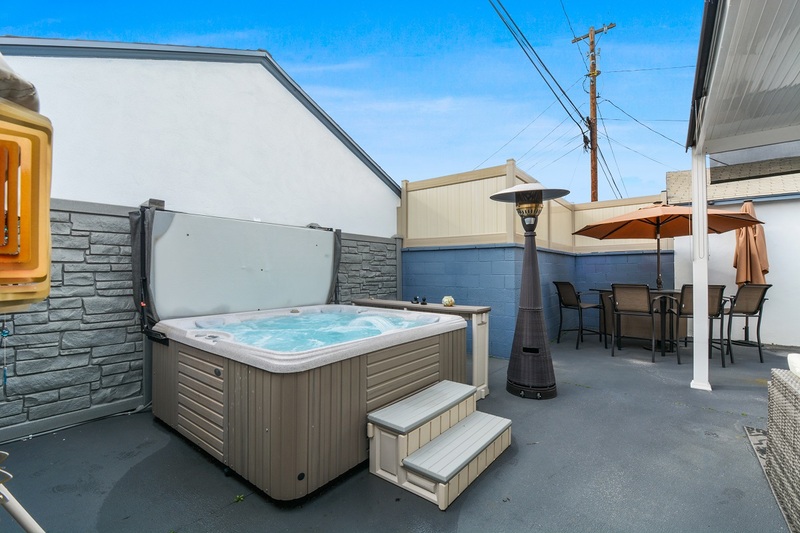 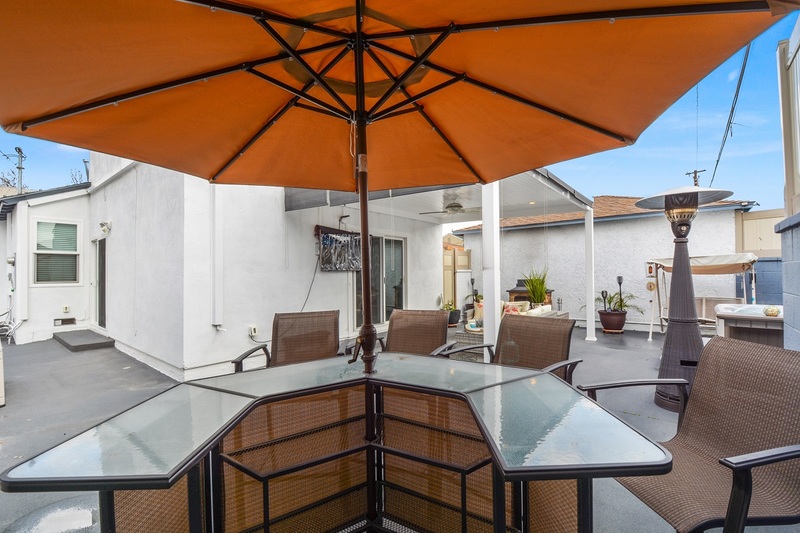 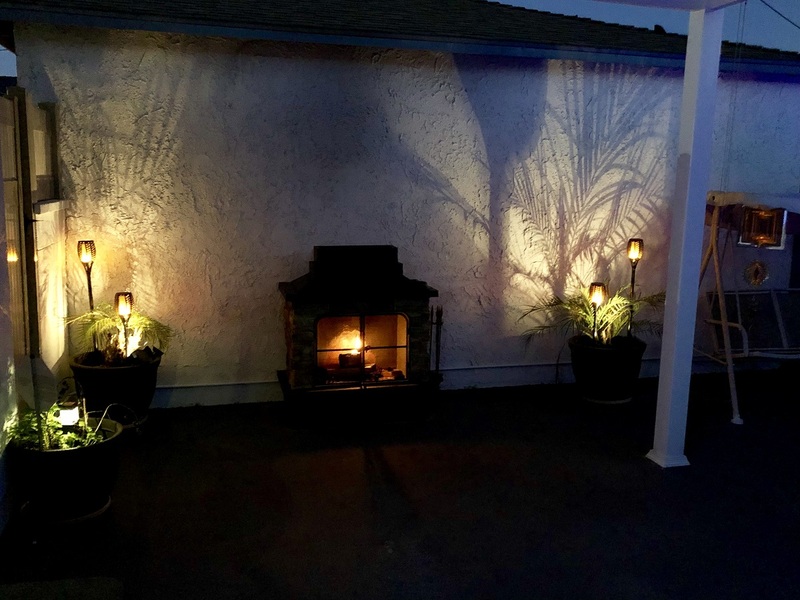 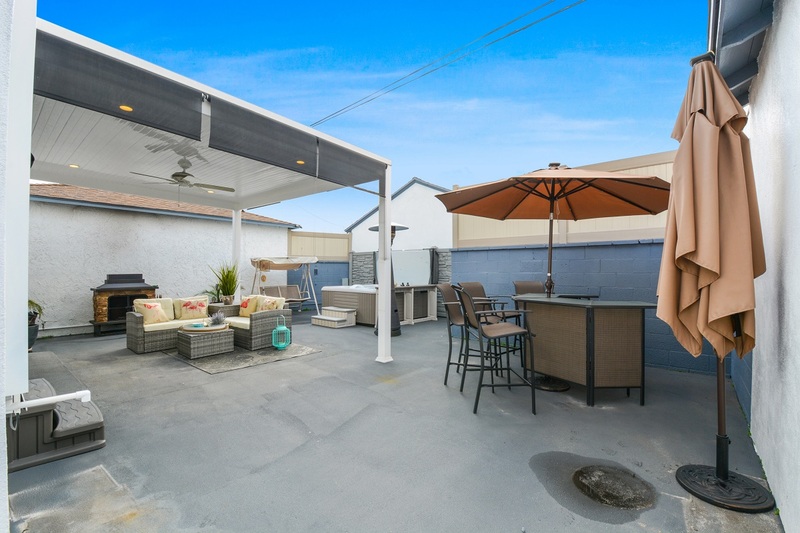 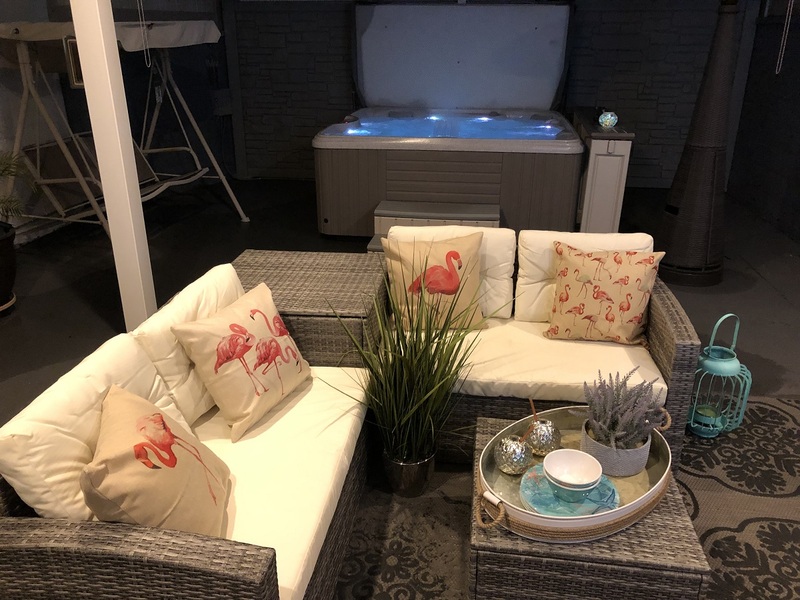 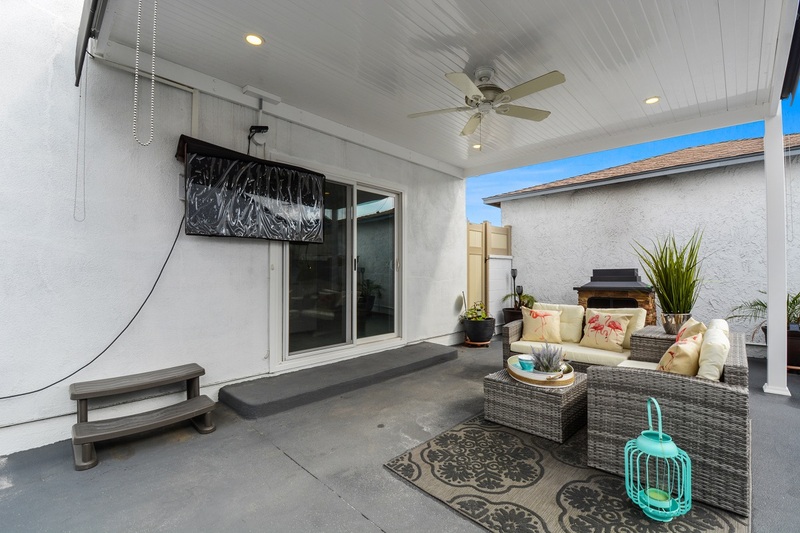 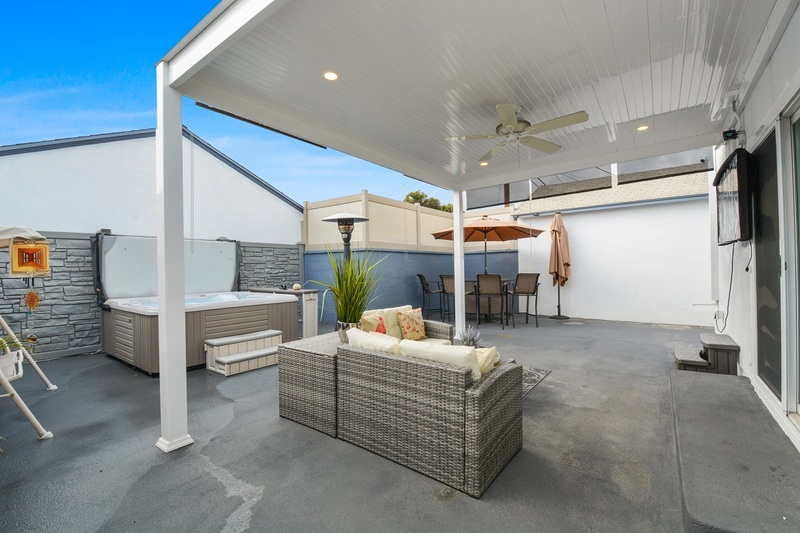 The paved yard space has a large covered patio, a bubbling spa, and plenty of room for an outdoor bar. 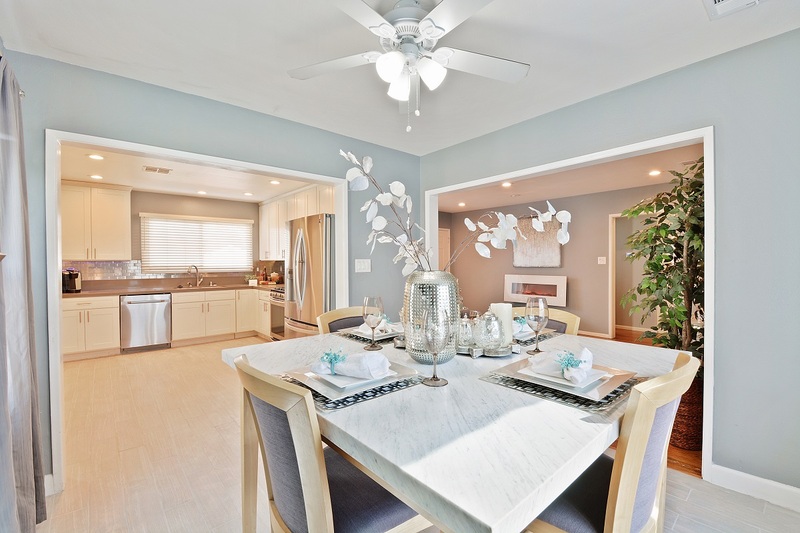 Picture yourself throwing fabulous parties here and hosting all your family and friends in style. 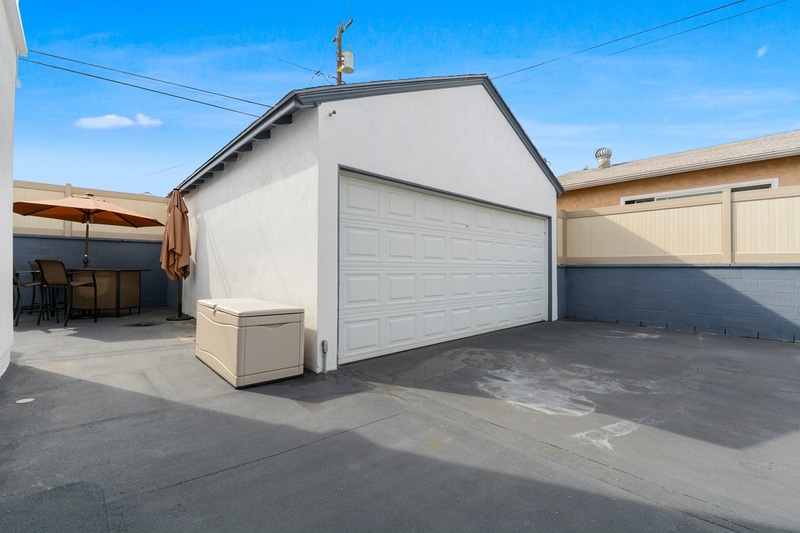 There is plenty of storage in the detached 2 car garage. 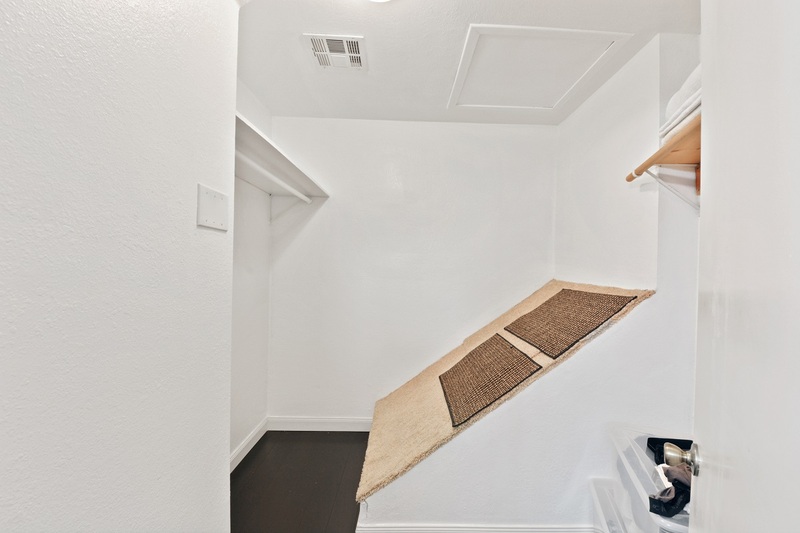 This finished space has epoxy floors, drywall, and custom ceiling racks. 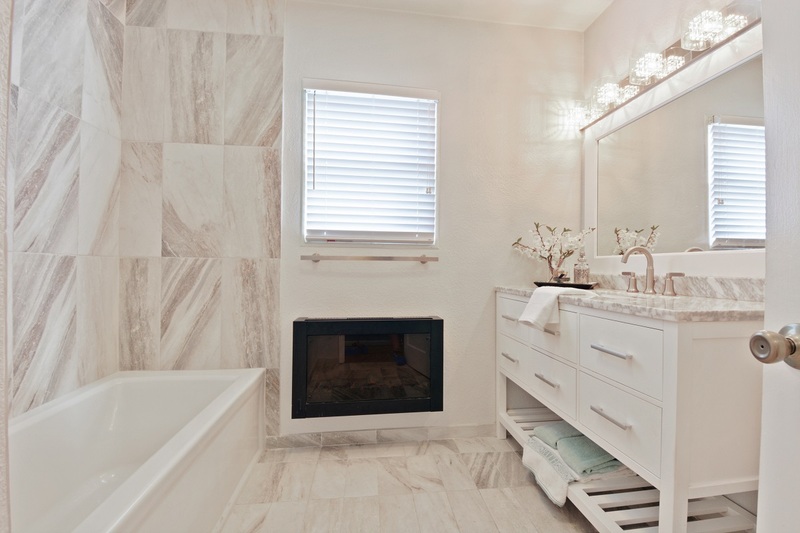 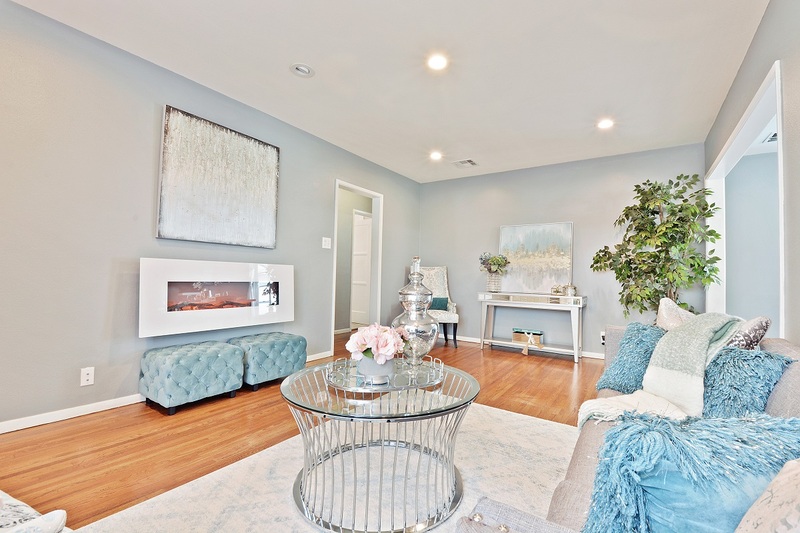 Schedule an appointment today to see this contemporary gem.